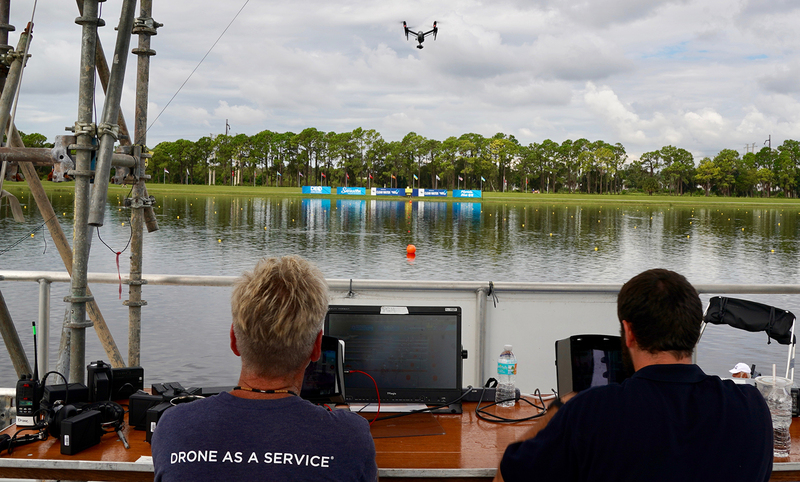 Measure, a drone-as-a-service company, recently provided a DJI Inspire II drone system for coverage of the 2017 FISA World Rowing Championships at Nathan Benderson Park in Sarasota, FL (Sept. 29 – Oct. 1). NEP enlisted Measure to provide the drone for aerial coverage of the event, which aired on the Olympic Channel: Home of Team USA and NBCSN. The DJI Inspire II system created HD broadcast-quality video and features a micro 4/3 lens with full-zoom capability. The system features 360° rotating gimbal and can go from 0 to 50 mph in just five seconds and hits a maximum speed of 58 mph. In addition to its primary unit, Measure brought along a secondary backup drone for redundancy. The DJI Inspire II system’s 20+-minute battery life allowed it to cover two races per battery cycle followed by a quick one-minute battery swap-out, according to NEP. This allowed Measure to land and exchange batteries without missing any action on the water. CLICK HERE for video of drone coverage included in the Olympic Channel telecast. In addition to live race coverage, the production team used the drone for venue flyovers and beauty shots for bumpers and overarching views of the facility. Measure had a three-person crew onsite at its operations area (located at the 1,500-meter mark of the course): a drone pilot, a camera operator, and a visual observer. Since this was Measure’s first rowing production, the company opted to select a D1 rowing veteran from the University of Maryland as its visual observer. The Measure crew wasn’t the only group learning on the fly, however. As the production progressed, the production team inside the NEP TS2 truck grew more accustomed to integrating drone shots into the live cut. 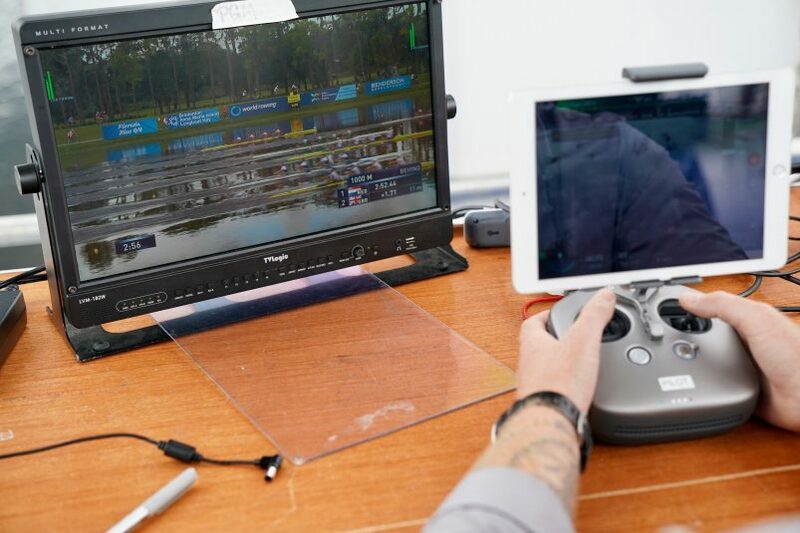 At the beginning of the production, the Measure team kept the drone reasonably far from the action on the water, primarily providing scenic aerials, establishing shots, and high-wide angle overviews of each race. By the end of four days, the drone was much closer to the action, creating tighter shots of each race. “It wasn’t a hindrance or an annoyance to the athletes; it didn’t bother them in the least,” says Ollwerther. “And we were providing really scenic overview aerials and bump shots into and out of the show and commercials. By the end, we were providing much tighter coverage of each race, which is where the tool really excels.